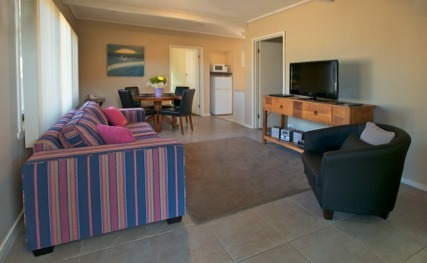 The 1 Bedroom apartment was brand new for 2012 and offers two guests a comfortable Queen bed, and soft furnishings. 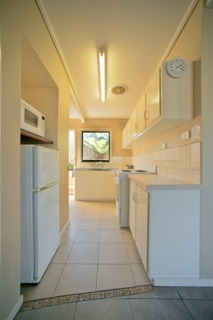 Well equipped kitchen (including cooktop & microwave), with a small dining area, and an ensuite bathroom with shower. 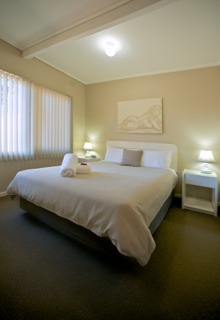 The 2 Bedroom Spa apartment offers a first bedroom with Queen bed and a second bedroom containing two Single beds. 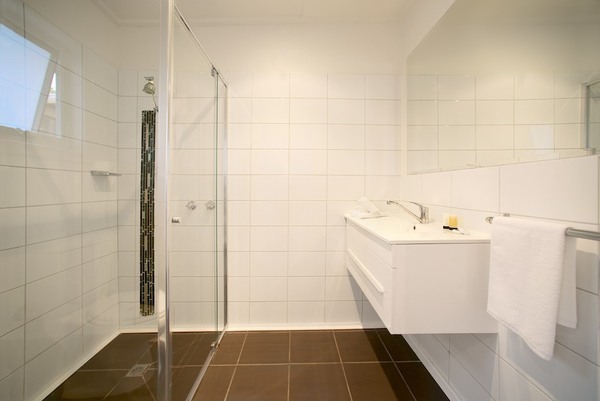 Bathroom with double corner spa bath and a separate shower, fully equipped kitchen (including cooktop, oven & microwave), dining and lounge area, which also has a Sofa Bed. 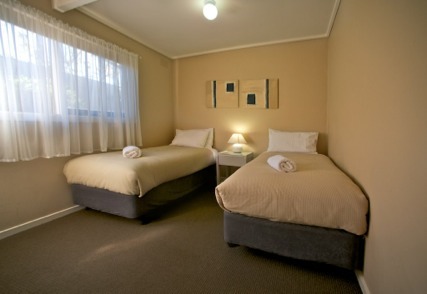 The 3 Bedroom Spa apartment offers three bedrooms, with a King, Queen and Single bed, respectively. 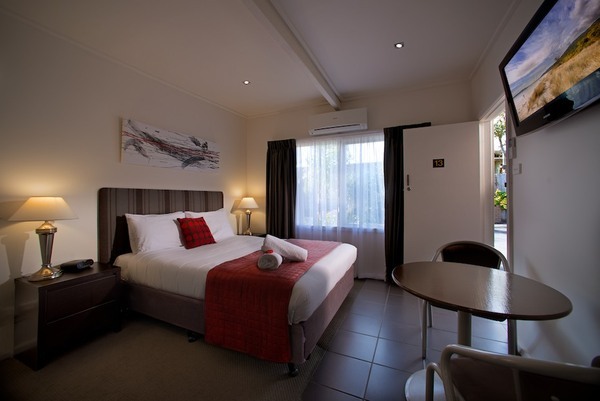 The main bedroom also has a Sofa Bed. 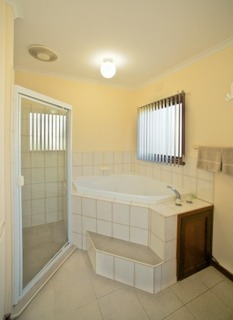 Bathroom with spa bath fitted with a shower, fully equipped kitchen (including cooktop, oven & microwave), dining and lounge area. 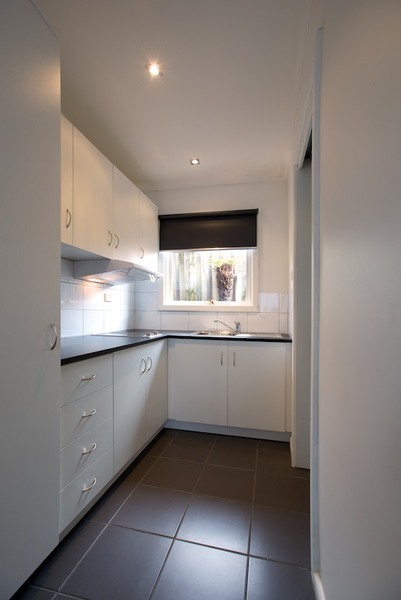 Designated parking for one car, which is undercover for the 1 & 2 Bedroom apartments.